Certain classic design eras provide continuing inspiration for home-owners and creators — think mid-century modern or Arts and Crafts. But how often do an architect and a designer get the chance to revisit the decade of showy excess known as the 1980s? 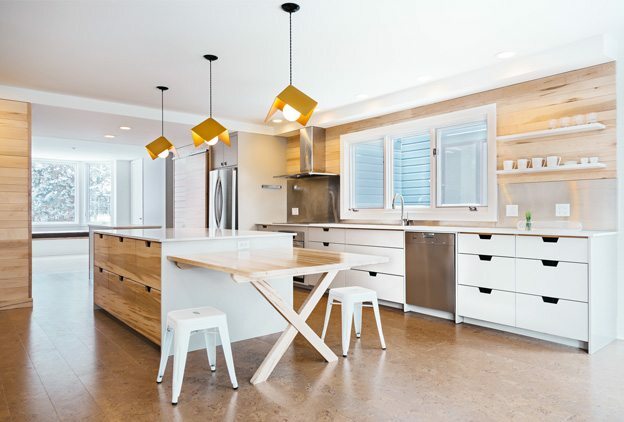 Not often, says Serina Fraser of Clear Designs, who admits to being thrown for a loop when architect Jane Thompson put her in touch with a young couple wanting advice on modernizing their new buy — a 1980s-era house in New Edinburgh. She collaborated with Jane Thompson Architect, who looked after the interior design while Fraser focused on choosing key elements to be carried throughout the rooms. 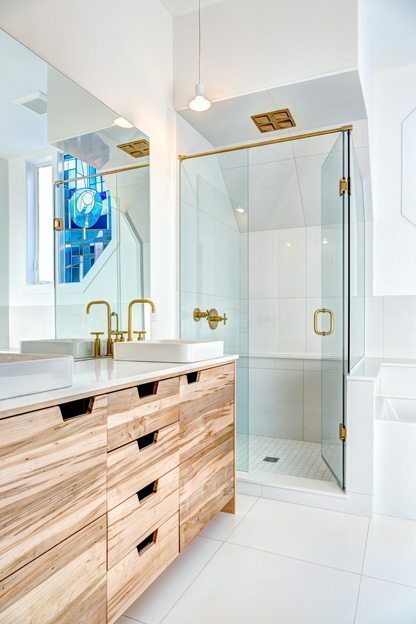 An original blue stained-glass window in the master bathroom and gold sconces in the kids’ bathroom provided a starting point. 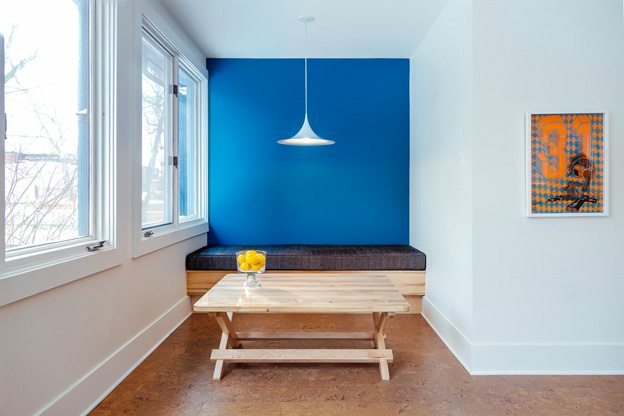 The vibrant blue is carried through to an accent wall in the kitchen nook, while the gold tones are picked up in modern fixtures in both bathrooms and in three striking pendant lights in the kitchen. Architect: Jane Thompson Architect Inc.